For most people, the birth of their child is one of the most joyous occasions of their lives. For some parents, however, their child’s birth can instead lead to overwhelming heartache if a baby experiences brain damage caused by medical mistakes that occurred in the delivery room. Infant brain damage impacts millions of babies each year, and can lead to long-term, permanent neurological problems and a myriad of physical problems including mobility issues. While medical advancements including improvements in fetal monitoring have led to fewer birth injuries overall, brain damage is still a possibility and even the smallest of mistakes in the delivery room can lead to a lifetime of medical expenses. Infant brain damage has a variety of different causes, and can result in varying degrees of disability. Lack of oxygen. According to the American Journal of Neuroradiology, a lack of oxygen at birth can impact as many as two out of 10 babies. While most of those babies make a full recovery, others may suffer lifelong complications because the brain was deprived of oxygen for a long period of time, leading to the death of brain cells. There are two types of infant brain damage associated with the loss of oxygen. Hypoxia occurs when an infant is deprived of adequate levels of oxygen for a period of time. It can lead to mild to moderate brain damage. Anoxia is caused by the complete deprivation of oxygen, which can lead to severe brain damage depending on how long the baby’s brain went without the vital nutrient. Both hypoxia and anoxia can cause cerebral palsy and cognitive disabilities. Umbilical cord problems. During birth, if the umbilical cord is comprised by becoming twisted, knotted prolapsed – exiting the birth canal before or alongside the baby, which can compress the cord, pressing it flat – it can limit or cut off oxygen to the infant. The umbilical cord can also become twisted around a baby’s neck, cutting off oxygen supplied by the cord and preventing natural breathing after delivery. Occasionally, a doctor may also cut the umbilical cord before a baby is breathing fully on its own, which can also cause a critical loss of oxygen. Umbilical cord problems are considered medical emergencies, and must be responded to quickly to prevent infant brain damage. Birth canal issues. While most birth canal issues should be prevented by monitoring a baby’s birth weight and size during prenatal visits, in some cases, doctors choose vaginal births when the baby is too large to fit through the birth canal. In addition to nerve damage caused by attempts to deliver, the placenta can become dislodged from the uterine wall during a difficult delivery, cutting off oxygen. To prevent brain damage, a quick cesarean section or assistance with the birth process using forceps or vacuum extraction may be necessary. Infant jaundice. While infant jaundice is common at birth, especially in babies born preterm, if it isn’t treated, it can lead to a serious form of brain damage known as kernicterus. Jaundice occurs when bilirubin, a yellow-hued pigment in red blood cells, reaches toxic levels in an infant’s blood. When bilirubin travels from the blood to brain tissue, it can cause kernicterus, which can result in a wide range of neurological disorders, including intellectual disabilities, mobility issues, seizures, auditory or visual impairments, impaired digestive function and cerebral palsy, among other problems. Blocked airways. A baby’s airways can become blocked with a variety of substances during childbirth, such as mucous or amniotic fluid. If doctors don’t act quickly, oxygen deprivation can cause permanent brain damage. Traumatic labor and delivery. While it is sometimes necessary to use assisted delivery devices such as forceps or vacuum extraction, there are several problems associated with their use. Both devices can lead to bleeding on the brain, which has the potential to cause developmental delays or cerebral palsy. Too, doctors can often prevent the need to use such devices by being aware of the size and weight of a baby based on measurements taken during fetal monitoring. By recognizing that a baby may be too large for the birth canal, a doctor can schedule a cesarean section, preventing potential birth trauma from the use of assisted birth devices. Low glucose levels. Also known as neonatal hypoglycemia, low glucose levels can be especially dangerous in infants, because babies need glucose for proper brain function. If levels are low, the brain won’t have the energy it needs to function properly, resulting in brain damage. It is a doctor’s responsibility to monitor glucose levels throughout delivery, and to respond accordingly if levels are tested and are too low, a problem associated with long, arduous deliveries. Maternal Infections. While infections including rubella, herpes and cytomegalovirus can cause brain damage before birth, preeclampsia, an infection that causes dangerously high blood pressure for the mother, can be particularly dangerous for an infant. If a mother’s blood pressure soars, it can restrict blood flow to the baby, causing a lack of oxygen and other nutrients that can cause brain damage. What Should I Do If My Baby Suffers Brain Damage? 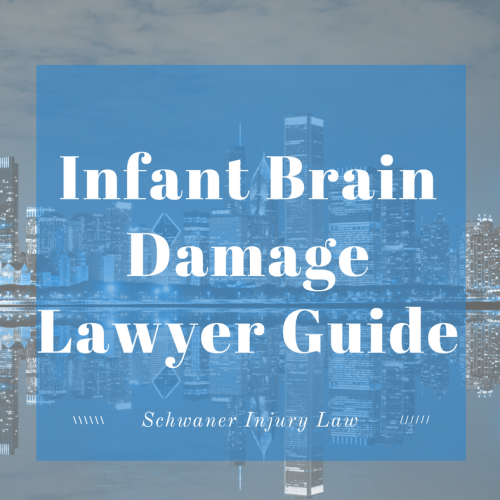 If your child suffered brain damage at birth and you believe it was a case of malpractice caused by the negligence of medical professionals, there are several steps you should take to be an advocate for your baby. First, get a second opinion. If you suspect medical malpractice was a factor in your baby’s brain damage, it’s important to determine what caused the damage. Because the trust you may have had with your obstetrician or his or her staff will be severed, schedule an appointment with another doctor, preferably one not associated with the first doctor’s facility. To protect your interests, don’t forget that doctors are hesitant to use terms such as negligence in reference to another doctor, so don’t mention your concerns. Instead, present your child’s symptoms and let your doctor make a determination on his or her own. 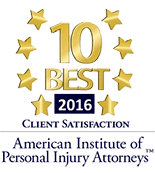 Secondly, hire an attorney who understands infant brain damage medical malpractice cases. Attorneys familiar with the complexities of medical malpractice will be better able to secure the necessary compensation to help parents who may be faced with caring for their child for a lifetime. An experienced attorney will understand the difficulties involved in filing a medical malpractice case, which are notoriously difficult to prove thanks to laws that are designed to protect medical professionals, not injured parties, and will be better able to help secure the compensation you deserve for a potentially devastating injury.